Which is more important to a 25-year-old Ochs-Sulzberger heir: the sense of honor that comes with owning the New York Times, or enough money to do whatever he wants for the rest of his life? This could be the story of any aspiring artist, but David Adam Ochs Golden isn’t just any folk-rocker carving out his own circuitous path in life. He’s a once and future owner of the New York Times Company, one of the 27 members of the fifth generation of the Ochs-Sulzberger family who will inherit the 157-year-old newspaper as it’s passed down from their forefathers—including Golden’s father, Stephen Arthur Ochs Golden, former president of the paper’s forest-products division and the cousin of Times chairman and publisher Arthur Ochs Sulzberger Jr. It might seem as if the adventures of a distantly related singer living in New Orleans would have little to do with the fate of the Times, but it was the Dave Goldens of the Bancroft family who agitated to sell their inheritance, The Wall Street Journal, when News Corp. mogul Rupert Murdoch came calling with $5 billion, more than twice the market value of the company. Like the Sulzbergers, the Bancrofts were an ever-expanding tree of cousins and second cousins watching their fortune shrivel in the Internet age. The Sulzberger family is a different clan from the Bancrofts, who were divided by trust funds and populated with restless socialites and horse enthusiasts whose hobbies required access to substantial funds. From an early age, Sulzberger children are taught to value their role as stewards of the paper and servants to the public good. Privately, however, the family has always quarreled and debated among themselves, with cousins and brothers jockeying for power and influence, and occasional whispers of displeasure with Sulzberger’s leadership. Today there is greater possibility for division in the Sulzberger family than there was a decade ago. In the last ten years, at least seventeen new family members have turned 25, the age at which they are allowed to join the trust’s board or vote for trustees, expanding by 38 percent the number of people with input into the family’s dealings. In 2001, the family trust was quietly amended, expanding the number of family trustees and allowing a less than unanimous vote on “extraordinary corporate transactions”—leaving the door open for a faction of family members to push for a sale. Will prestige and legacy alone be enough to sustain the next generation? As the financial fortunes of the New York Times wither, the sad truth is that they may not have a choice. From an estate in Southampton, 82-year-old Arthur Ochs Sulzberger, the patriarch of the family and father of Arthur Jr., has watched as the company he bequeathed to his son has taken a perilous turn. A significant portion of the paper’s troubles can be attributed to the general difficulties of a business model based on print advertising in the Internet age. But the younger Sulzberger’s management stumbles have helped to speed the company stock price’s decline to around $15 a share from $45 at the start of the century. When the Times did use its cash to acquire new assets, those bets rarely panned out. Believing that television was the medium of the future, Sulzberger overpaid for the Discovery Times Channel, which failed and was sold. All told, the company’s major newspaper and TV acquisitions since 2000 have lost more than $1.5 billion in value. Sulzberger made what appears to be a smart move in acquiring About.com, a highly trafficked information hub, in 2005, but when the Times had a special opportunity to get in on pre-public financing of Google, it passed—perhaps the single worst business decision of Sulzberger’s tenure, says one Times intimate. Sulzberger hasn’t acted entirely alone. His cousin Michael Golden, vice-chairman of the company and until recently publisher of the beleaguered International Herald Tribune (the acquisition of which cost the company $65 million), oversaw the sale of the old New York Times headquarters on 43rd Street—which the buyer turned around and sold three years later for a $350 million profit (enough to fund the newsroom for more than a year, notes one Times veteran). A new headquarters on Eighth Avenue, designed by architect Renzo Piano and costing the Times about $500 million (roughly 25 percent of the company’s total market capitalization), was also his responsibility and is seen as a sign of the family’s dedication but also its vanity. “Man, he loves that building,” says a former Times executive who knows Golden. Meanwhile, the company continues to suffer the failed strategic investments of Sulzberger’s father, such as the Boston Globe, which, along with another Times-owned paper, led to an $815 million write-down in 2006. Many at the Times believe Sulzberger Jr. hangs on to the Globe only out of deference to his father. Smelling weakness, Wall Street agitators have pressured the family to cut costs, squeeze more value out of the stock, and loosen its grip on management. Last year, London-based Morgan Stanley fund manager Hassan Elmasry presented the board of directors with a litany of criticisms of Sulzberger’s management, suggesting that the stock price might be improved with new leadership and an overhaul of the dual-class stock structure that allows the family to maintain monarchal control over the business. Not surprisingly, neither Sulzberger nor the family members on the board were interested in ceding control of the company. In retaliation, an angry Sulzberger pulled the family’s personal holdings, approximately $200 million in New York Times stock, from an account at Morgan Stanley. In general, Sulzberger and his family have affected indifference to critics. It’s written in the company’s proxy statement that the Ochs-Sulzberger trust reserves the right to put its own aim, to protect the journalistic independence of the paper, ahead of those of the shareholders. Sulzberger views himself as a barrier between the expensive 1,300-person newsroom—the engine of the paper’s reputation as the best newsgathering operation in American media—and Wall Street pressure to save money by laying off editors and reporters. Nevertheless, Sulzberger partially relented to a shareholder insurgency led by two hedge-fund traders pressuring the paper to cut costs and take more advantage of the Internet. Sulzberger quietly steamed at the most high-profile critic, Scott Galloway, a professor at New York University who runs Firebrand Partners, telling one colleague he “can’t believe this guy’s arrogance.” But eventually he agreed to expand the paper’s board of directors to include appointees chosen by the insurgent traders, including James Kohlberg of the private-investment company Kohlberg, Kravis, Roberts & Co. The move seemed to contradict the “What, me worry?” attitude Sulzberger presents to friends and associates at the paper. “If [Sulzberger] really is that sanguine, why would he let these guys on the board?” asks one Times staffer. Sulzberger has acknowledged that his own family suffers along with his shareholder critics. “All of us—my family and you, our shareholders—have felt the pain of this disruption,” he said in 2007, referring to the Times’ flagging financial fortunes. People familiar with the family’s trust say it is surprisingly undiversified, with a high proportion in Times stock. The family’s collective and individual shares are valued at a third of what they were worth in the late nineties. One Wall Street executive briefed on the family’s holdings estimated that the central trust is now worth somewhere between $270 million and $300 million. There are individual investment trusts for each line of the family as well—each with inside jokes for names like Trifoos Capital Investors (for the three siblings whose last name is Dryfoos) and Pudding Partners (the Sulzbergers, including Arthur’s sisters). But those too have taken a hit: Late last year, each of the separate family trusts made rare sales of about $500,000 a piece in class-A stock—sales that would have been worth $1.3 million seven years ago. In order to keep the family—and shareholders—happier in these lean financial times, Sulzberger has quietly ramped up the amount of cash they receive in a quarterly cash dividend. This, more than the sale of stock, is the source of the Ochs-Sulzbergers’ working wealth. Sulzberger and CEO Janet Robinson raised the dividend by an extraordinary 31 percent last year—even as the stock price declined. Of the $132 million a year the paper gives to shareholders, about $25 million of it now goes directly into the coffers of the Ochs-Sulzberger trusts. But the payoff exacts a harsh price: The company is going deeper into debt to pay the high-yield dividend. In the last four quarters, the paper has made less money than it has paid in dividends, and debt-ratings agencies like Moody’s and Standard & Poor’s are threatening to downgrade the company to “junk bond” status, which would paralyze the paper’s ability to borrow money. In August, an analyst for Moody’s suggested the company could quickly improve its rating by lowering the high-yield dividend—a report that sent the stock down 6 percent. Emile Courtney, a credit analyst for Standard & Poor’s who currently has the Times at the lowest investment grade possible, says that even with changes to its cost structure, “there’s a greater than 50 percent chance that [the Times] will go lower to non-investment grade.” If that happens, the paper will have even less money available to climb out of its hole. ‘My family’s dedication to this company is fundamental and enduring,” Arthur Sulzberger declared during Elmasry’s attack in 2007. Indeed, the Sulzberger family’s dedication to the Times has been the gold standard among newspaper dynasties over the last 30 years. The family is steeped in mythology, down to the name of the family trust, Marujupu, shorthand for the first names of the four children of the late matriarch Iphigene Ochs Sulzberger: Marian, Ruth, Judy, and Punch (in 1929, the explorer Admiral Richard Evelyn Byrd actually named one of the glacial hills in Antarctica after them, Marujupu Peak, not far from Ochs Glacier and Mount Iphigene). After Iphigene died, in 1990, the families of her four children decided to fuse their fortunes together in a trust designed to protect the newspaper. By accepting the deal, they gave up the right to sell off controlling shares in the company, which added up to an estimated $1 billion in potential wealth. But it was worth it to try to preempt the phenomenon that trust-fund managers everywhere know to be true: Families fracture and fight and eventually break up over money. The four siblings had between them thirteen children, a handful of whom—Arthur Sulzberger, Stephen Golden, Michael Golden, and Dan Cohen—became directly involved in the business. Their identities were built on the paper’s prestige, and their commitment was cultivated by bonding rituals at Hillandale, the family’s onetime 263-acre country estate in Stamford, Connecticut, where copies of the New York Times were placed under benches in the gardens. At one time or another, each of these cousins thought of himself as a candidate to one day lead the company, each rising through the ranks of his respective department—Stephen Golden in forest products, Dan Cohen in sales, Michael Golden in the magazine division. 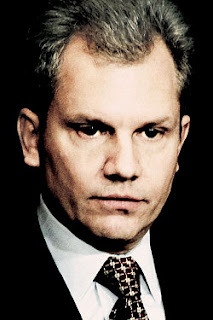 Arthur Sulzberger was not necessarily the obvious choice to succeed his father. While attending Tufts in the early seventies, Sulzberger did hallucinogenic drugs, worshipped the Grateful Dead, and motorcycled with Dan Cohen. But eventually Sulzberger settled down and started working as a reporter, first at the Raleigh Times and Associated Press, later for the New York Times. He shifted to the business side in 1983, and his father anointed him publisher in 1992, despite some skepticism from the company’s board. After Sulzberger became publisher, Stephen Golden and Dan Cohen left the company. Golden moved to Tucson to pursue a law degree and work for the rights of Native Americans; Cohen, Sulzberger’s closest family adviser and friend (also one of the company’s largest shareholders), was effectively forced out as senior vice-president of advertising by Janet Robinson, with Sulzberger’s blessing, in part because of complaints about his temperament. Cohen started a TV-production company and later got into the submarine and underwater-exploration business, founding DeepSee, LLC, in 2007. (Netscape co-founder Marc Andreessen, a critic of the Times’ management, archly noted that Cohen’s qualification as a company board member was “noted Jacques Cousteau expert.”) Only Michael Golden remained at the paper. In 2002, after the Times acquired full ownership of the International Herald Tribune, he departed for Paris to serve as that paper’s publisher—a kind of second prize for Golden in lieu of being publisher of the Times. The other cousins have mainly deferred to Sulzberger, enjoying relatively placid lives as philanthropists, conservationists, and charity-board members. Susan Dryfoos serves as the family historian; Lynn Dolnick was a director of the Smithsonian zoo; Cathy Sulzberger is a real-estate developer; Arthur Golden wrote the best seller Memoirs of a Geisha. The fifth generation, the sons and daughters of Arthur and his cousins born between 1965 and 1990, have largely remained in the shadows of the company’s affairs, anonymously going about their lives as beneficiaries of its generous dividends, their names listed in the occasional SEC filing detailing the family trust. Like their parents, they’ve led the lives of a prestigious trust-fund family—attending private schools like Dalton and Fieldston and acquiring Ivy League educations at Brown and Columbia, then casting about for noble life pursuits or whatever pleases them. Sulzberger has said that his clan starts going to family meetings when they’re 10 years old and by 15 they understand their roles as caretakers of the New York Times. There’s also a one-day orientation session for kids turning 18 or 21—or people marrying into the family—to learn about the legacy of the Ochs-Sulzbergers. For the last several years, the entire family has converged annually on the Times headquarters for a review of the company’s fortunes. Afterward, they break into groups and powwow with top Times editorial and business executives. It’s the younger members who ask most of the questions, “more about the mechanics of the paper than debating this or that policy,” says a former Times executive. People who have been involved in those sessions say they’ve never seen family members express criticism or dissent. Younger members of the family are also inculcated in the beliefs of the Sulzbergers on private annual retreats to places like Hawaii. One Timesman compares the indoctrination to Skull and Bones, but it seems more the stuff of summer camp. They sing songs together like “We Are Family” and keep abreast of each other’s lives through a newsletter called The Lookout. A surprisingly large portion of the family stays connected through the social networking site Facebook, including Punch Sulzberger’s sister Ruth Holmberg, the 87-year-old mother of the Golden brothers, who lives in Tennessee. The Cohen boys compare favorite movies with the Golden kids, who are friends with Arthur’s 26-year-old daughter, Annie. Only three fifth-generation offspring have opted for careers at the New York Times so far. The oldest and highest ranking is Michael Greenspon, the 38-year-old son of Jacqueline Hays Dryfoos, a psychotherapist cousin of Sulzberger’s. After stints at the Boston Globe and the Washington Post, where he worked with Graham-family heiress Katharine Weymouth, Greenspon now works in strategic planning at the Times and is described by colleagues as quietly competent but not an obvious candidate to lead the paper. One person at the paper calls him an “odd presence” because he’s so obviously “aligned with Michael [Golden], who he’s very close to.” Two others toil in quieter quarters of the Gray Lady: James Dryfoos, son of Robert Ochs Dryfoos, works as a systems analyst. And Michael Golden’s 29-year-old daughter Rachel is new to the paper, a graduate of the University of Denver who works in digital marketing. Some Times staffers think the brightest of the young family lights could be David Perpich, son of Arthur’s sister Cathy. A Harvard M.B.A. who helped run a D.J.-training school called Scratch D.J. Academy (it’s still in business), Perpich applied to work at the paper in 2007 after an internship at Times-owned About.com. But he was conflicted over whether to join the Times or pursue a career in consulting. In the end, he decided against the paper and took a job at technology consulting firm Booz Allen Hamilton. But Arthur III has shown promise as a newspaper reporter at The Oregonian, in Portland, where he recently broke a series of stories about a local sheriff who had an affair. His interest in journalism is no guarantee that he’ll be interested in following in his father’s footsteps, however. One family intimate notes that Arthur III is close to his mother, and his parents’ recent separation might complicate his relationship with his father. “Gail is really hurt,” says a family friend of the deeply acrimonious divorce that has upset the entire family. “She was taken aback by it. She’s going to have a very difficult recovery.” If Arthur III is to be the next Sulzberger to pull the proverbial sword from the stone—and it’s a Camelot metaphor the family employs, with a statuette of a sword-in-stone on Sulzberger Jr.’s desk—it could be an issue, says the family friend. Indeed, some of the family’s recent moves make it seem as if Sulzberger’s cousins and second-cousins are not as passive as has long been thought. Just as Sulzberger’s marriage was unraveling earlier this year (a matter of family discussion for at least six months before it became public), Michael Golden, the only other cousin in a position to run the company, returned to New York from Paris. While they maintain a cordial relationship, Golden is more conservative and mild-mannered than his prickly cousin, who sometimes criticizes Golden in front of surprised staffers, according to a person who has witnessed it. Golden still maintains the vice-chairman title and ostensibly oversees international operations but is, according to a person who knows him, “fishing for something to do” while he sits in an office down the hall from Sulzberger. Meanwhile, Dan Cohen, Sulzberger’s closest confidant, has also returned to influence after a period of relative remove, taking a seat on the company’s board of directors in 2007—at the peak of the Morgan Stanley battle. Significantly, the board of trustees also includes for the first time a member of the fifth generation, Carolyn Greenspon, a 40-year-old social worker who lives in Massachusetts. Greenspon replaced her mother, Jacqueline Hays Dryfoos, on the trust board and recently began attending family wealth-management conferences. Carolyn also happens to be the sister of Michael Greenspon, making the siblings a significant family presence at the paper. The idea of the New York Times slipping from family control is one that few inside or outside the family relish talking about. People who know the Sulzbergers are inclined to protect them, seeing the paper as an endangered species on which freedom of the press depends. As former Times editor Abe Rosenthal used to say, one can’t imagine a world without the Times. It is significant that none of the members of the fifth generation of the Sulzberger family, given the chance, chose to express even a sliver of unhappiness with the company’s management. The reaction is very different from that of the fifth generation of Bancrofts, many of whom were happy to stoke conversations about a sale of the Journal in the press. The main difference between the two families is that the Bancrofts became disengaged from running the Journal much earlier in the paper’s history; the last family member to hold a senior management role at the company was Hugh Bancroft, who committed suicide in 1933. The Ochs-Sulzbergers’ continued involvement has helped to create a mythology around the paper and the family, a sense of noblesse oblige that may be more powerful than the financial pressures. The family’s dedication to journalism is “a noble, familial thing that courses through their veins,” says a family friend. “And anyone who strays from that gets slapped down pretty quickly.” A sale could make the Sulzberger descendents wealthier, but what they would lose is invaluable to them. It’s a relatively modern phenomenon for the Times to think of itself as a business more than a civic gesture—an expensive project for the public good. It wasn’t until the nineties, when Sulzberger successfully took the paper national and invested in early Internet ventures, that the stock price spiked and it seemed that the Times might be able to be both virtuous and rich. Today, of course, nothing escapes the pressures of Wall Street, and the tension between the Times’ public trust and the Times’ business is sharper than it’s ever been. Fantasies about a white-knight businessman who might “save” the Times with a cash infusion abound in the newsroom and in media circles across the city. Most of them feature Michael Bloomberg, who has denied interest in buying the paper, or Carlos Slim Helú, the Mexican telecommunications billionaire who bought $127 million in Times stock. Another notion floated in the newsroom is the hiring of a future-forward CEO, like Google’s Eric Schmidt, an executive who clearly “gets” the Internet and might just be able to reengineer the Times to profit from it. And so the Times’ royal family presides over an embattled kingdom—its coffers dwindling, but its titles still a source of pride. Sulzberger seems willing to sacrifice anything to hold on to the family business. “If the New York Times of the future is a Web business, but worth 20 percent of what it’s worth now, he’ll be happy because he’ll have saved the institution,” says a friend of Sulzberger’s who admires him. “That’s what he cares about.” He’s betting the rest of the family agrees. A significant portion of the paper’s troubles can be attributed to the general difficulties of a business model based on print advertising in the Internet age. But the younger Sulzberger’s management stumbles have helped to speed the company stock price’s decline to around $15 a share from $45 at the start of the century.